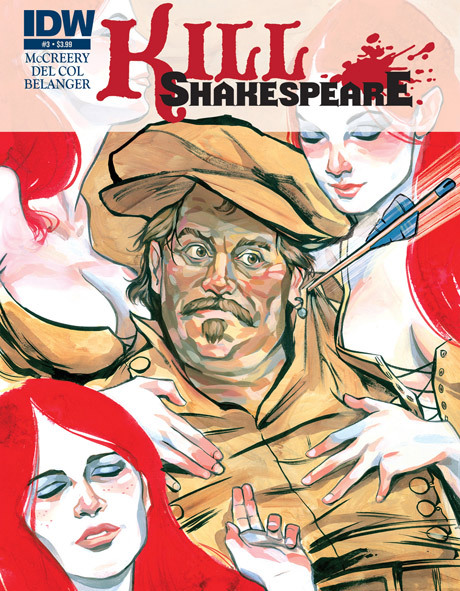 A trio of Toronto-based comic book artists has launched Kill Shakespeare, a refreshing adaptation of the playwright's work, which pits a cabal of characters against their creator. Writers Antony Del Col and Conor McCreery cite David Carradine's enigmatic role in Quentin Tarantino's Kill Bill as the inspiration for their 12-issue volume, which has received raves from both comic enthusiasts and Shakespearean scholars. Artist Andy Belanger's rich, moody graphics suit Richard III's deceptive plot to have Hamlet destroy 'the wizard, Shakespeare,' and the writing/art dynamic bodes well for Kill Shakespeare's continuation beyond this inaugural series.